A dead or declining tree is an eyesore and a safety concern for property owners. Traditional tree removal is the most common technique for removing a dead or declining tree. This technique requires the tree to be safe enough for a tree climber to ascend the tree. Most trees are still sturdy enough to climb after declining or dying if dealt with quickly, before decay begins and the wood becomes hazardous to climb. A climber will begin by working his way up the tree using tree climbing spurs that attach to his boots, a rope, and a saddle. He must always stay securely attached to the tree as his climbs. The climber removes branches on the way, he may choose to let the branches fall safely to the ground if the job site allows or he could choose to rope each branch safely to the ground with the help of a groundsman. 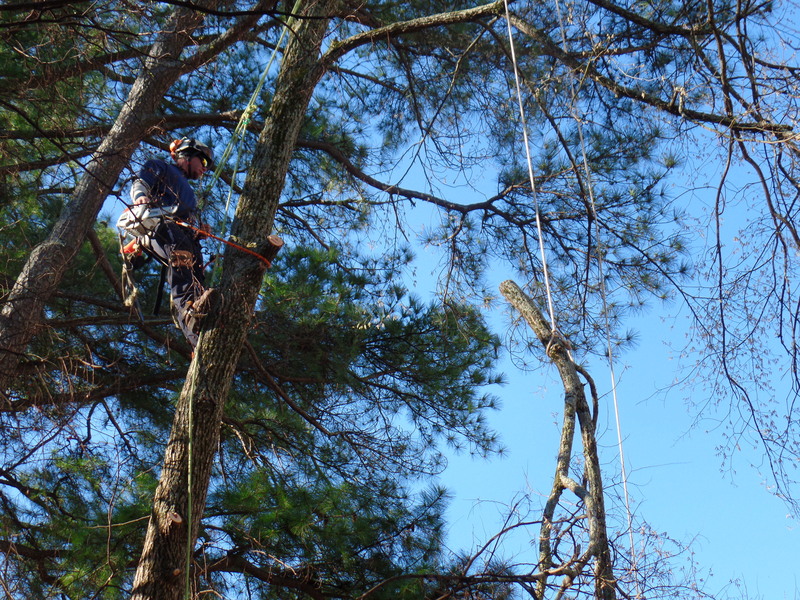 When the tree is stripped of its branches, the climber will then cut manageable pieces of the trunk to let fall to the ground or he may choose to rope each piece and lower it to the ground in a controlled manner. The risk of damage to plants and landscaping with this tree removal technique are minimized when each branch is lowered using a roping and rigging technique. The climber and his crew must work together to determine the weight and structural strength of the rigging point to safely lower the branches and trunk, they may use a neighboring tree to aid in lowering the branches. How do I determine if I need to remove a tree? If you are considering removing one of your trees this year, make sure you consult with a Certified Arborist. A Certified Arborist has the training necessary to determine if your tree is dead, declining, hazardous, or not in need of removal at all.